Cobian is on a mission and getting stopped is not an option. They are fully focused on creating the most comfortable footwear on the casual market. They know their customers deserve their best efforts, so that is the only thing they are willing to offer. Through the incorporation of the most innovative ideas and strategies in all aspects of business, and remaining committed to the highest quality materials, Cobian never fails to deliver on their promise to provide their dedicated followers with the ultimate in cozy casual footwear. Comfortable shoes aren’t the only thing that sets Cobian apart. The versatility and durability of every pair is another aspect that is propelling them to the forefront of the scene. Since Cobian has a history rooted in the surf scene, they know that their shoes have to be tough enough to stand up to all the rigors of beach life. However, it is also their prerogative to ensure that every pair is loaded with enough style to thrive when you are out and about in the city. By branching out to an expanding fashion market, Cobian represents the surfing world with an inspirational passion that infuses all the elements of what makes this brand so exciting. Many call them progressive. Others call them bold. Cobian calls it “Surftique”. It is just who they are, always have been and will forever continue to be. At the core of this brand is an unwavering passion for people. They consider it to be their greatest asset and motivation as they display amazing customer service to their loyal following. Cobian’s love of people also pushed them to team up with the Beautiful Feet Organization, which works to bring comfort to those who are in less fortunate situations. 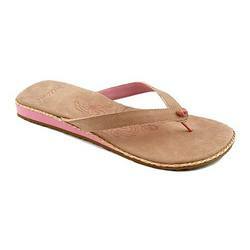 Women’s Cobian sandals are pristine examples of exactly what this brand stands for. Models like the Cobian Esperanza Sandals are like two little exclusive suites for your feet. With an exotic and clean look that exercises unparalleled comfort, this pair is crafted from amazing materials that do your feet nothing but favors. Top grade leather and durable soles team up to deliver everything you need and more when it comes to stylish, functional sandals. The women’s Cobian Nevada Sandals also take performance laden fashion to another level. Simple, yet rugged, these flip flops professionally orchestrate a classic design with a fresh look and unbeatable comfort. That is just how Cobian does footwear. When you slip into a set of footwear that not only looks good, but feels even better, you can bet that the Cobian name is sure to be found on them. Cobian’s mission to link good people with good shoes invigorates them and only further increases their desire to put phenomenal footwear where it belongs.